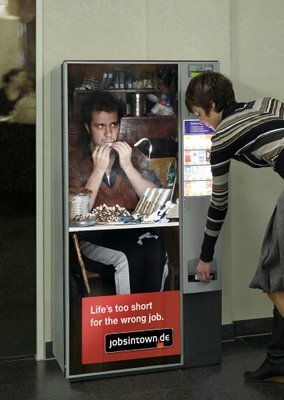 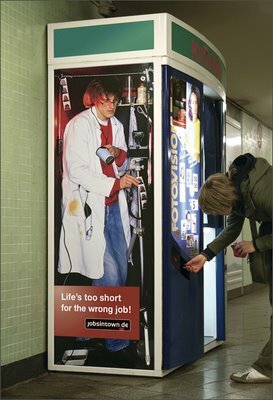 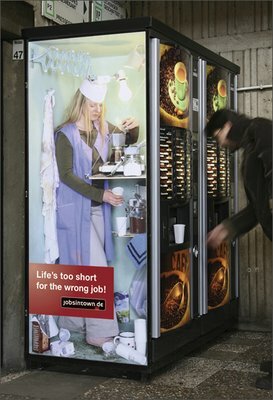 A German Jobs/HR firm came up with this series of Ad Campaign Posters. 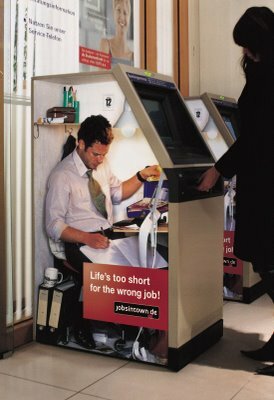 The right group of target audience was cleverly targeted “Oon Their Way To Work” … by choosing various slot machines at highly frequented subway station , roads and malls…. 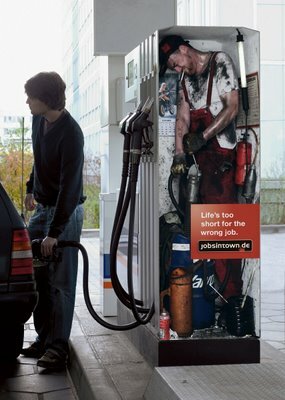 And results : Visits on the website jobsintown.de increased by more than 25% compared to earlier year!